Moisturizing lip protection made from beeswax, antioxidant-rich coconut, avocado, and grape seed oil. 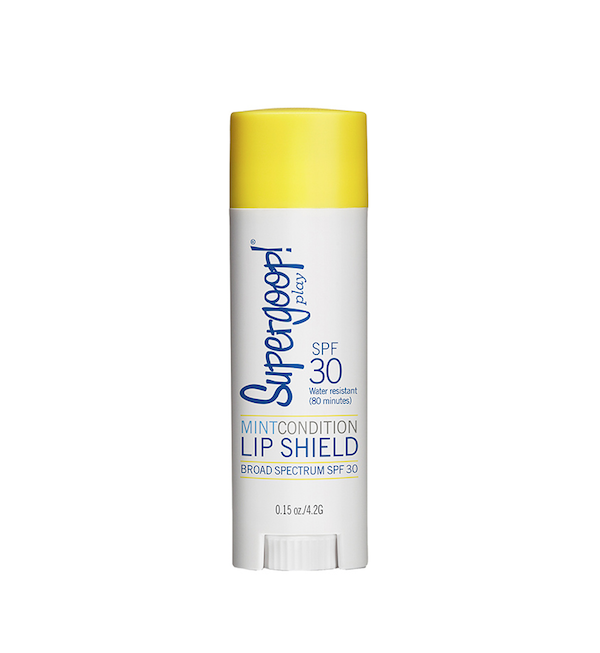 Don’t let the sun and wind wreak havoc on your lips. This Lip Shield restores dry, cracked, and dehydrated lips back to being feel-good smooth. Plus, it’s water-resistant, so it withstands a day of skiing or swimming. Coconut Oil: Packed with rich fatty acids, vitamins, and antioxidants which help fight damage-causing free-radicals. Amazing conditioning and moisturizing benefits. Sunflower Seed Oil: Helps skin retain moisture, has a high content of omega-6 fatty acid along with vitamin E which help shield from environmental damage. Avocado Oil: High content of vitamins A and C helps to nourish, moisturize and provide antioxidant protection. Apply to your lips as needed in the sun, snow, or even dry environments to protect and hydrate. Water resistant up to 80 minutes.